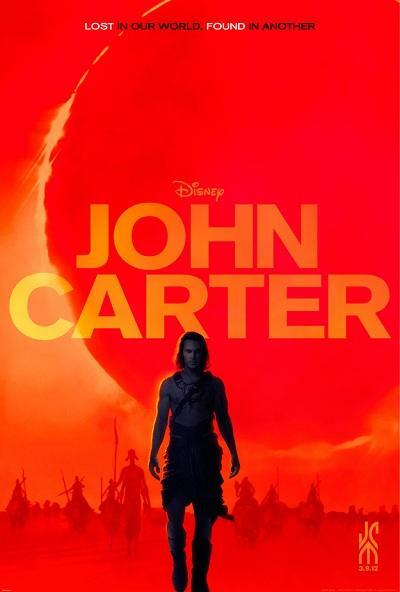 Was given the chance to go check out the Sneak Peek of the new Disney movie, John Carter, tonight thanks to a co-worker of mine. Craig and my friend Wendy also went with. I think the consensus from all three of us was that it was a very fun movie! Throughout the movie, I was getting a lot of Deja vu feelings as many things reminded me of the Star Wars movies. The flight machines being used in the movie seemed a LOT like the Pod Racers… the aliens themselves looked a lot like Jar Jar Binks (though MAJORLY less annoying!!! )… and other little things throughout. Again, this didn’t take away from the movie, just something I noticed as I was watching. Not sure if it was an intentional thing or not. This could definitely be considered a family movie, though a few of the fight scenes might disturb very young children. (not that it stopped the few people tonight that brought crying babies with them *grumble grumble*) Overall, there is something for MOST all ages in the movie. If you like 3D movies, DEFINITELY go see it. This was probably the best 3D movie I’ve seen in a long time. It fully utilized everything that 3D has to offer. It’s visually stunning throughout and the fight scenes have you feeling like you are right there with everyone. My only complaint was there was a part maybe 45-60 minutes into the movie that seemed a little slow, but I was also running on about five hours of sleep so it could’ve been that I was just tired and having trouble focusing. Other than that, I had a fun time with this movie and hope all of you out there that go see it enjoy it as well. 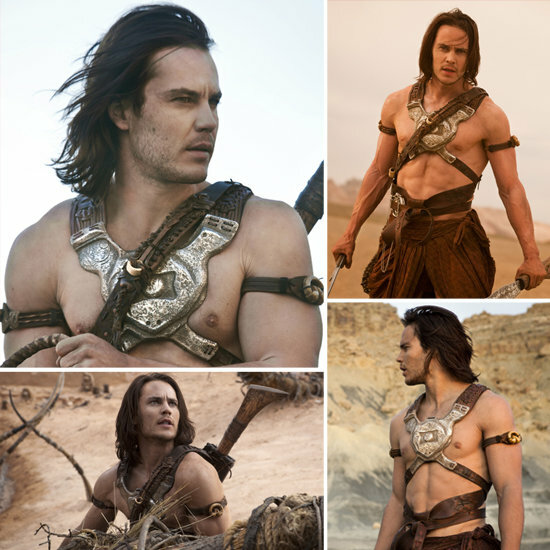 Oh… and ladies… yes, Taylor Kitsch, is VERY nice eye candy! *drool* There were even scenes where I found myself comparing his image to some of Johnny Depp’s in various movies. And on a non-guy front… I absolutely LOVED the wedding dress of the lead girl, Lynn Collins. One last thing… as I wasn’t familiar with the books before. This movie is actually based off of a series of books by Edgar Rice Burroughs. You can buy the first five of the series for Kindle for just $0.99 so you might want to check that out as well if you do decide to see the movie, whether before or after.